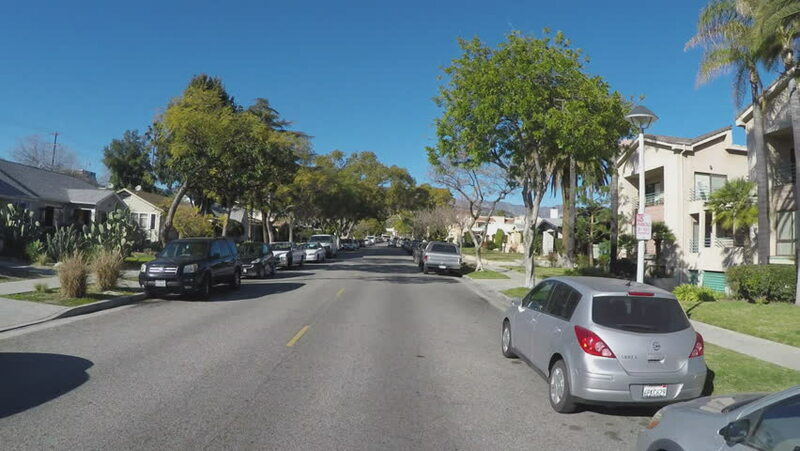 GLENDALE, CA/USA: February 21, 2016- Fast motion point of view driving shot through a residential neighborhood. The vehicle makes stops at a stop sign, resumes and goes over speed bumps. hd00:12TEMPE, AZ/USA: January 31, 2017- Pan shot of busy Mill Street Intersection in Tempe Arizona. Clip captures a street scene in the retail business district of city. 4k00:06A typical intersection in the upscale Beverly Hills area of Los Angeles.